30 Day Book Challenge – day 1: What is your favourite book? There are several versions of this challenge. I’m going with the one I found on the blog Snobbery. It’s amazing how many interesting questions can be asked about books. So here is the first question. And I already don’t have an answer. There are so many favourites. In fact I’ll be writing about many of mine during this challenge. Unless the question specifically asks for it I won’t cover books I didn’t like – I believe in staying positive. 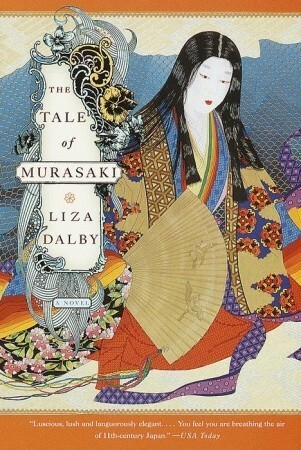 One of my all time favourites is A Tale of Murasaki by Liza Dalby. Murasaki Shikibu was the authoress of The Tale of Genji, one of the most famous Japanese novels, so we almost get two for the price of one with this question. Except that, although I’ve owned a copy for several years, Genji still lurks in my ‘to read’ backlog. Dalby’s book is a novelisation of Murasaki’s life. Knowledge of her life is patchy, but a number of her poems survive and Dalby uses them in her reconstruction of the court of 11th century Japan. It was a society that valued elegance and courtliness and I was surprised at how multi-tasking the women were. A bit like modern women, but so much more refined. Where the court ladies had secret recipes for making their own perfumes, we’re lucky to have widely available instructions for everyday cookery. We don’t reply to letters with charming poems containing layers of subtle meaning – an email has to be straightforward or its recipient, skim-reading at high speed, might misunderstand. I never take up a brush to sign a poem in flowing calligraphy, though I have been known to take up a roller and paint a wall. Times change and I’m sure there are things in our society that Murasaki would admire. I’d love to meet her here and show her around. I think she would be a wonderful companion. While thinking about the importance of calligraphy at her time and place in history, I wondered if one can text in Japanese. I love this book for the window on a different world, for the development of the character of the protagonist and for the description of the writing of one of the world’s earliest novels. Thank you for stopping by. You’re so right. Almost all readers I know keep adding to their ‘to read’ list. I find it’s nice to know I won’t run out of good things to read. This book sounds great! I will check out some more information on it and maybe add it to my list! Do you have a long ‘to read’ list that doesn’t get shorter? Mine is like that but it gives me a sense of security – I know I have a good book to turn to as soon as I’ve finished the last one. I hope you find Liza Dalby’s book fascinating. Thank you for stopping by and commenting.